Why would the Cardinals stop making their team better? ST. LOUIS — Let me make this clear. John Mozeliak shouldn't be fired. I find the man to be a classy, diabolical, and impervious businessman whose "game" is unbridled. It's quite alright to defend the St. Louis Cardinals' President of Baseball Operations while being simultaneously frustrated by his inaction at times. There's a rugged arrogance to his dealings with the media with regards to free agents and the team's pursuits. 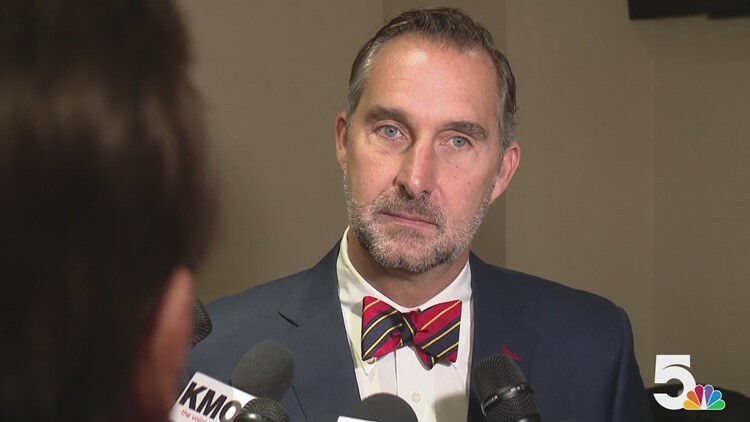 This week, when asked about making further additions to the ballclub, Mozeliak said it would be too complicated at this point to acquire another player of significance. I'm paraphrasing, so pardon me, but he's basically telling you that Bryce Harper won't be a Cardinal. It turns out that acquiring a 26-year-old superstar and generational talent is too much strain for the Cardinals to bear at this point. Instead of setting themselves far apart from the pack in the National League Central, they'd rather keep things interesting and maintain status quo. Well, that's boring. Sure, I'd rather not order the Porterhouse steak at the risk of complicating the rest of my night. I'd rather not order a triple espresso after a long night of driving. I'd rather not order the delicious plate of biscuits at Russell's on Macklind, because of the amount of carbs may complicate my diet. Here's the thing. After every one of those things, I'll be happy. I've written several times about the significance of the Paul Goldschmidt acquisition, saying the MVP-caliber talent could change things for the Cardinals. But I've maintained the need to suggest after the fact ... why stop there? When asked about adding another player at the Winter Warm-up, according to Derrick Goold of the St. Louis Post Dispatch, Mozeliak brought up Goldschmidt. Acquiring (and re-signing) Goldschmidt shouldn't hinder the pursuit of Harper or another superstar, Mo. If anything, it should trigger the move. While the Cardinals' contention plans hinge on less "ifs" heading into the 2019 season, there's still a few comebacks to gamble on. The Dexter Fowler comeback story is grand in spirit, but where does it stand in reality? Is it okay to hope for a 3 WAR season from the highly paid outfielder, or would that be pushing it? Everyone got the feels this January when Fowler talked about his internal struggles, but does that translate to OPS? The Cardinals are enduring their second round of Marcell Ozuna mystery health game of intrigue, hoping to get the stud they assumed had arrived a year ago. Can you really count on him to be more than a poor man Reggie Sanders in 2019? Either way, he's walking in 2020. Tyler O'Neill looks like he could give directions to three women while performing his own oil change on a Prius, but can he cut down on the strikeouts and be a middle of the lineup presence next year or the year after? No telling. Matt Carpenter is still a highly efficient player, but he's also getting older, and we all know what happens to players as they waltz further into their 30's. Mozeliak's comments become further disheartening when you think about the possible pursuit of Colorado Rockies third basemen, Nolan Arenado, next winter. He acquired the largest arbitration contract ever for a player on Thursday, scoring a $26 million dollar one year deal. He will be a free agent in November. Will the Cardinals even bother to go after him, or will Mozeliak and Bill DeWitt Jr. preach their reluctance once again? Over the years, it's been hard to discount the fact that Mozeliak can be boldly arrogant when it comes to pursuing players and outrunning other teams to make his own squad the best that it can possibly be. He took a hard swing at Giancarlo Stanton, and came up short. He chose to bypass Max Scherzer years ago when he was available. Now, this offseason, he's decided to stand down with Harper remaining on the free agent market as February commences. I'd like to have asked him at the Winter Warm-up what the downside of acquiring a talent like Harper is, but like he did with other questions pertaining to the free agent, he'd just dodge the inquiry. Why not make Harper an offer? He'd change the look of your lineup, franchise, and overall revenue instantly. On and off the field. Arenado, a better and more consistent player than Harper, would do the same. They are both game-changing talents. Why not make an offer? Reminder: the Cardinals don't have a 5-6 WAR player in right field this or next year, or a long term option at third base. Acquiring Arenado would move Carpenter from third base, but you do that for a guy who has won six straight Gold Gloves. You find a way. This is why Harper makes more sense in a way. With Ozuna's pending departure, the former Washington National fits right in. Then again, it must be too complicated to acquire more than one 5 WAR player in an offseason. As it stands now, the National League Central is an open race, up for grabs to whoever pitches the best and stays healthy. With one move, the Cardinals could place themselves far ahead of the pack. My question, old but far from stale, is simple: Why not make the addition if it makes you nearly unbeatable? I'll hang up and wait for Mozeliak's answer.